Presenting ‘Medellín, Colombia’ according to Daniel of Destinationless Travel. Medellín is a city in Colombia, known all around the world because of one man – Pablo Escobar. However, Colombia is a changing country, becoming increasingly safer each day and Medellín is the city leading these changes. Remarked as the world’s most ideal temperature all year around (about 64 to 83 degrees Fahrenheit) and some of the friendliest people I have ever met, Medellín is quickly becoming a top tourist destination for people heading to South America. Colombians are typically ecstatic to leave behind their dark past and work towards improving the reputation of the gorgeous country with lots to offer tourists. 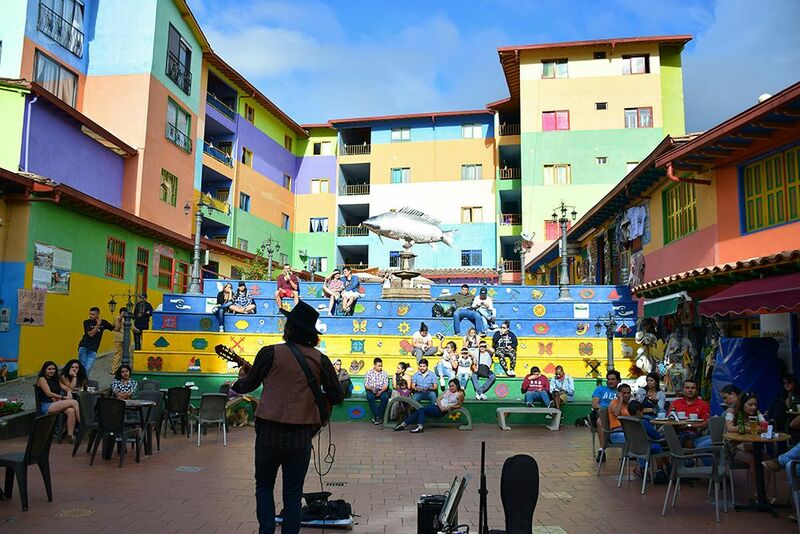 Medellín is Colombia’s second largest city, so naturally there is a lot of things to do! It was extremely hard to narrow down to my top 5 (especially after spending two weeks there) but I have done it and here are the winners. 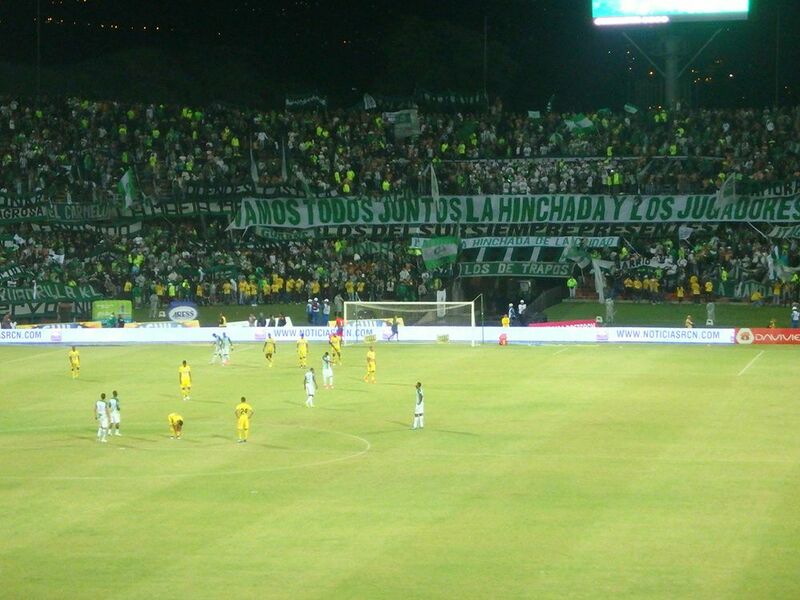 Latin Americans are known to be football (AKA: Soccer) fanatics, and in Medellín, this is certainly true! Imagine a stadium packed with thousands of passionate fans chanting for 90 minutes without a break—the ground literally shakes! From the moment I entered the stadium, the atmosphere was electric. Football lover or not, I promise this night will be one nobody could forget. The idea of getting to the stadium on one’s on and hunting down a ticket is a bit daunting, so luckily there are tours that take groups of tourists to and from the game, provide tickets, and some peace and mind knowing a local guide is leading the group. Football Tours Medellín is the company I went with and all up we were a group of about 20 strong – all wearing our jerseys and chanting as much as the locals! The crazy fans at the west end! Photo by Daniel Caracciolo. 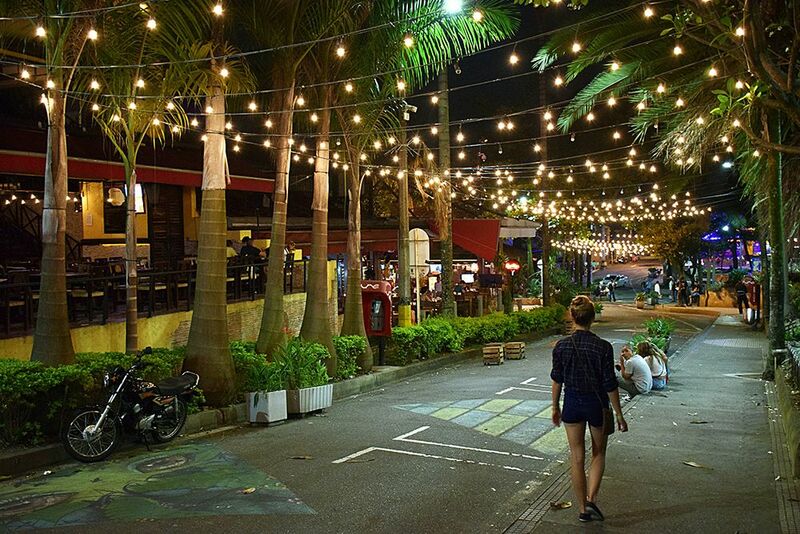 This area of Medellín is literally filled with cool bars and amazing restaurants – no trip to Medellín would be complete without a night out here! When I first arrived in this area I was shocked. It wasn’t what I imagined Medellín to look like. 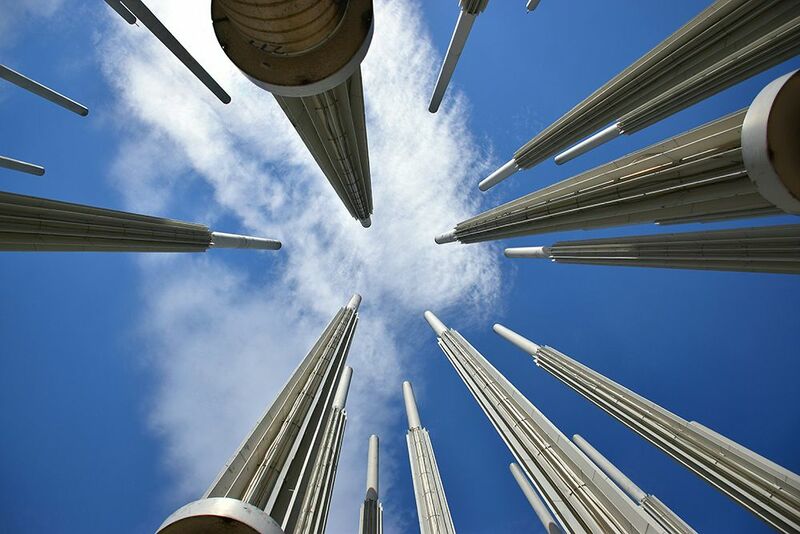 Poblado is an upscale neighborhood in Medellín and it is the most common area for tourists to stay, boasting incredible places to visit, clean parks, and a high police presence making it incredibly safe. The locals who live here are very proud of their neighborhood and will want to share some beers with any tourists hanging around the local bars! Seeing this place showed me how far Colombia had come in such a short amount of time and how bright its future really is! It was almost impossible to pick a place to eat but I did find a local secret called Cafe Zorba. It’s the best pizza I’ve ever eaten, so check it out! Poblado is so beautiful at night! Photo by Daniel Caracciolo. 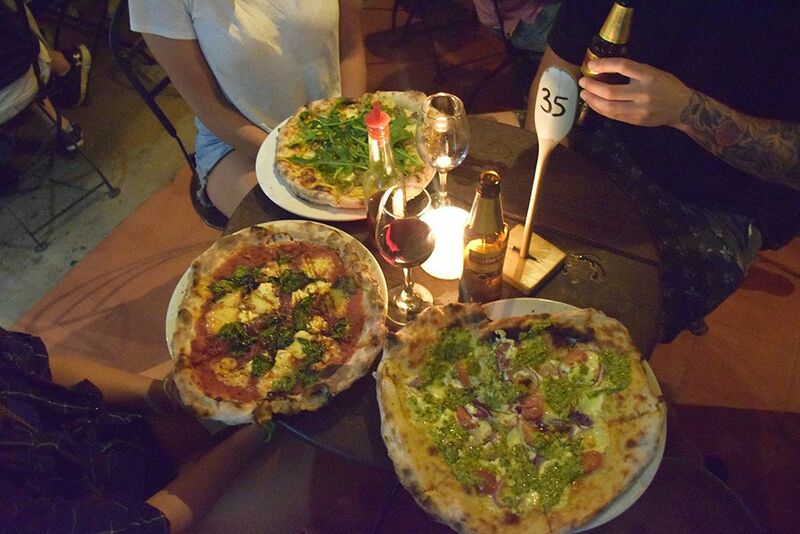 The best pizza is at Cafe Zorba. Photo by Daniel Caracciolo. This part of town is where there is the most incredible graffiti art. From murals that outline political problems to just simply crazy art work, it was definitely well worth checking out. I did a tour to this area and I believe it is the best way as then I could learn about the artists themselves and the meaning behind the murals painted. The area is also very charming however it wasn’t always the case as Comuna 13 was once the most dangerous part of Medellín! Today, it is rather safe however, I would not recommend going alone or at night. Some of the beautiful murales. Photo by Daniel Caracciolo. This is the number one thing to do in Medellín for anyone who has a limited amount of time. The tour with Real City Tours is really that good! Usually, I am not much of a “walking tour guy” however, I really enjoyed this particular one. From past to present, I learned so much about the people of Medellín and their history. Just make sure you go with Real City Tours as they are the number one in town! Booking this tour is essential so make sure to plan ahead. Where? The Real City Tours Office is located at Cra. 51 #41-76, Medellín, Antioquia, Colombia. The lights of hope, visited on the free walking tour. Photo by Daniel Caracciolo. The vibrant colors of Guatape. Photo by Daniel Caracciolo. 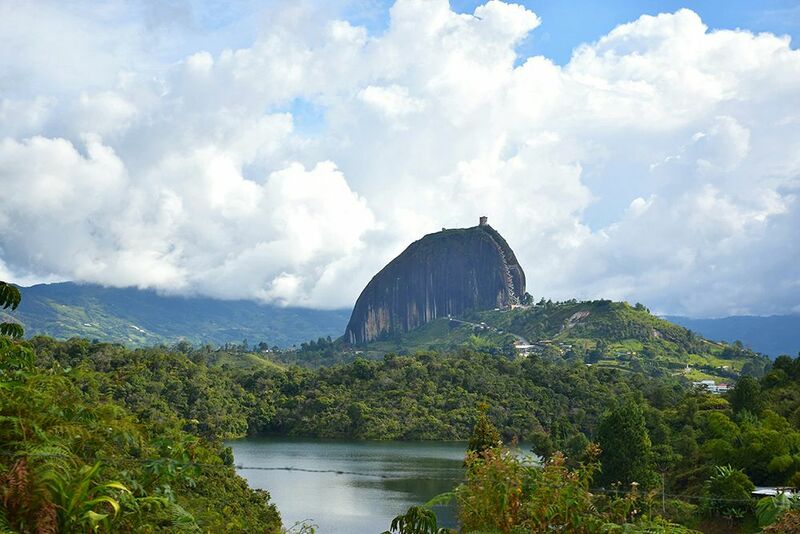 The view of El Penol from Guatape. Photo by Daniel Caracciolo. Go on a Pablo Escobar Tour. This tour is a driven tour, which typically takes people to two of Pablo’s old houses as well as his gravestone. Some of the locals dislike this type of tour as they want tourists focusing on the present, not the past, but nonetheless it is a popular tour for anybody who is a fan of Narcos. Take the Cable Cars up the hill for a view of the city! 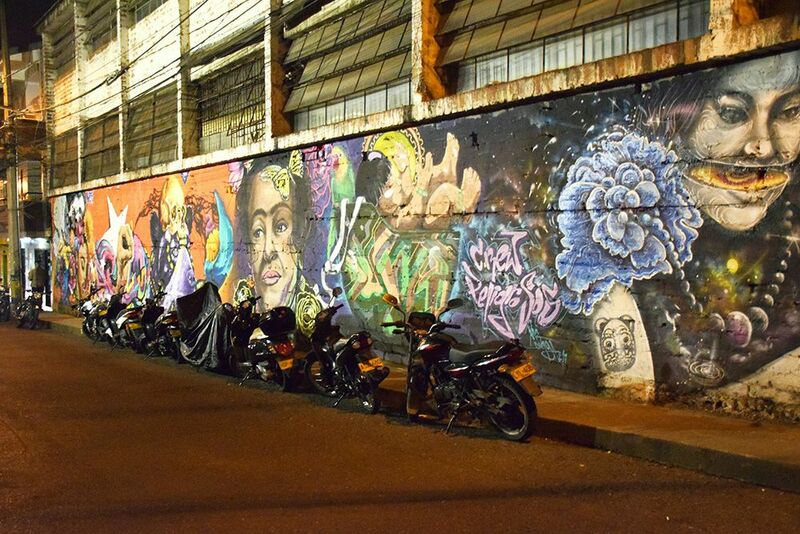 Just don’t go at night or alone as these neighborhoods are known to be less safe than the touristic parts of Medellín. A tour can also be arranged for this which will be much safer than attempting to conquer alone. Go paintballing in one of Pablo Escobar’s old houses. This is a super popular activity among backpackers looking to get a little exercise and adrenaline rush at the same time. Ride the Metro. Sounds like a silly “thing to do” but the people of Medellín are extremely proud of their metro (the only Colombian city to have one) and it shows – there will never be a piece of garbage on the ground or a place on the train that is not clean, it was the cleanest metro I’ve ever seen.  Special thanks to Daniel and don’t forget to visit his blog. 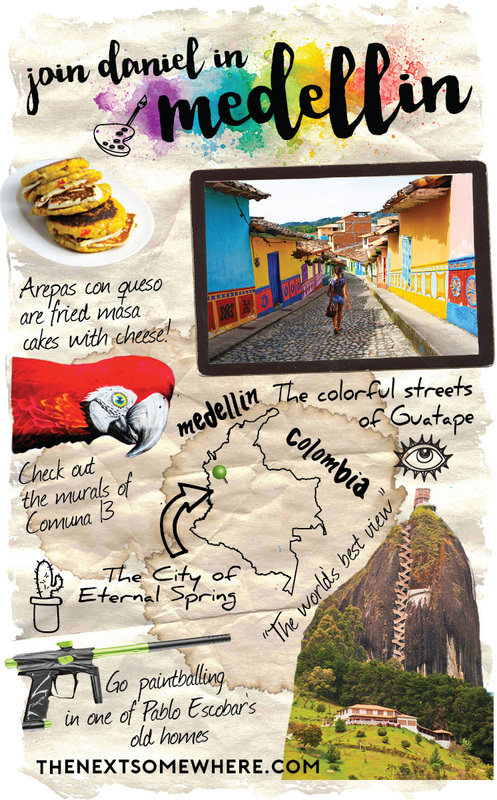 Have you ever experienced any of these must-dos in Medellín? Comment below! Daniel Caracciolo is a 25-year old-Australian, full-time traveller, and blogger currently on an adventure in Latin America. 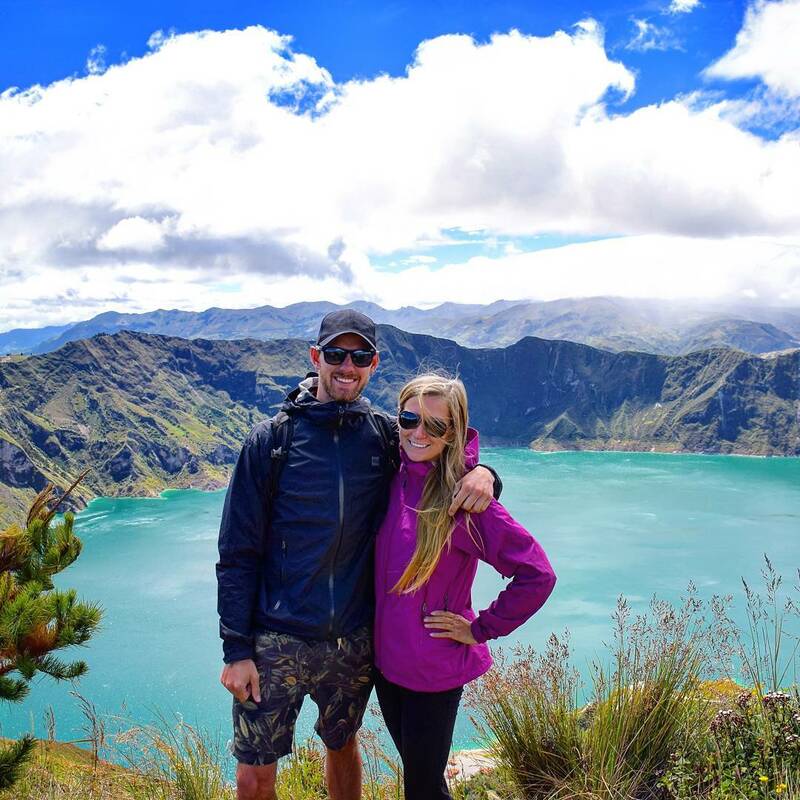 Along with his Canadian partner Bailey, the two quit their jobs and are now on a never-ending (hopefully) journey around the world where they share what they’ve learned and loved on their blog Destinationless Travel. They hope to inspire others to travel long-term as well as share the beauty of the world with all of their followers. Wow, this is just naturally awesome! I love how you came up with this list of things to do in Medellin Colombia. All of these things are exciting and interesting. I would love to experience each one of them and get to capture good photos as well. I really love the beautiful colored buildings and the pebble stone streets of Guatape. It looks really instagramable. Thank you so much for sharing this with us. I’m not a sports fan but I feel like watching a football game in Medellin is part of the culture so a must-do! Going with a group of 20 would be great. Adds to the experience!